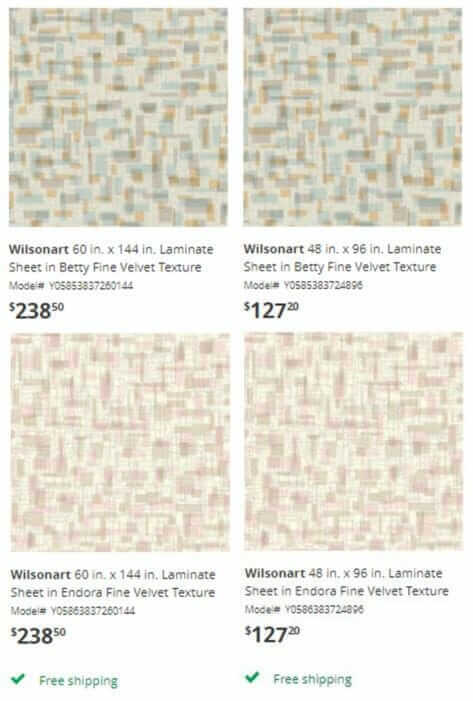 Wilsonart Betty and Endora, no longer stock but now printed on demand via Wilsonart’s Virtual Design Library, are now live on Home Depot. 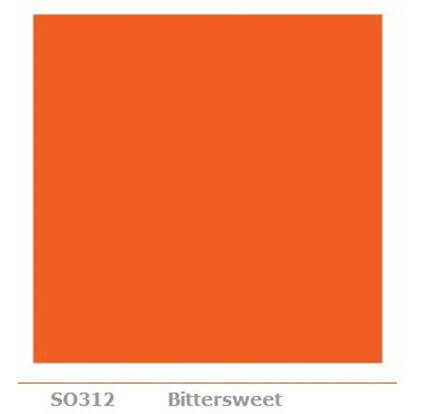 As with our Retro Renovation® by Wilsonart laminates, there are two lengths available. Wilsonart Betty via Home Depot, including free delivery. Wilsonart Endora via Home Depot, including free delivery. Nancy used Betty in her kitchen. This has been a popular laminate among Retro Renovators because of its retro design, price point and ease of purchase. Stories and photos about Betty here. Stories and photos about Endora here. Want lotsa countertop ideas? See our complete Kitchen Help: Countertops subcategory here. 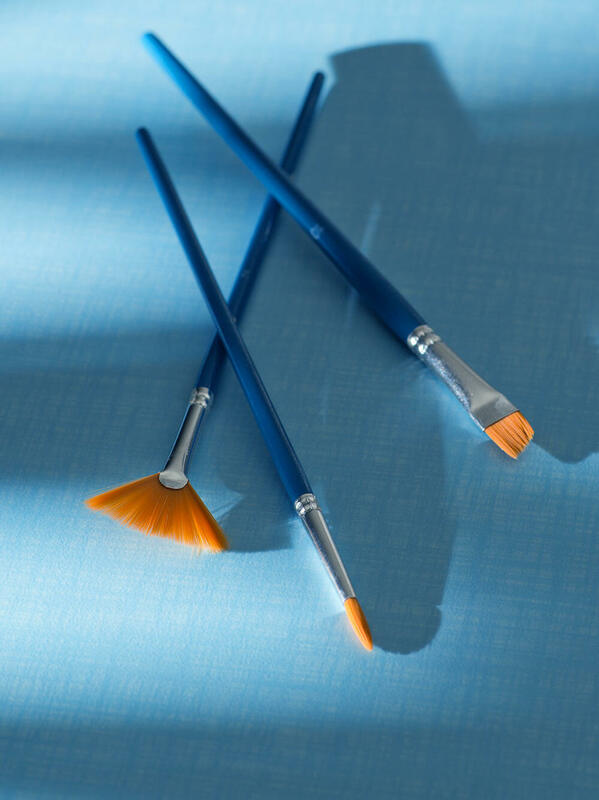 Wilsonart Spectrum linen-like laminate — available in 25 colors — real color colors! Pluses outweigh the minuses of these two: appropriate for kitchen, bath, or bar, non-believers are semi-converted to the concept of renovation instead of “updating”, and as Pam said, available and $$$. Minuses: they are tied to a certain few decades which, if that’s your home, YEA! I’ve only just started researching a laminate to replace the seafoam green ’70’s pattern bull-nose on which the previous owners used knives and scratched in several places. My preference is “butcher block” since it updates without being inappropriate to the value of the house but would consider other colors/patterns. I don’t know which is more frustrating: looking for something you can’t find ANYthing of or being boggled by what’s all available. As I said below I highly recommend Wilson Art laminate. All of the retro patterns are so cool. I was afraid with small kids it would get marked up easily. However they have far exceeded our expectations. I have a lot of the Betty laminate in my kitchen. A whole island even. We use it everyday and it doesn’t have a mark on it. Everything has wiped up with ease. The same for the retro renovation laminate in the bath. It is our boys bathroom/ hall bath. It looks fantastic and everyone loves it! Our laminate was easy to order. The gentlemen that helped us order both were loving it. As they mostly see granite and solid surface ordered today. It did take a bit to get in. We were working on other parts of our house so it was not a problem for us. It was well worth the wait! The price is great as well. I especially loved for us that it was Wilson Art, being made in Temple. Also living in a home built by Charlie Voelter whom was friends with Ralph Wilson we felt like we had go for it and put laminate everywhere! If you are trying to renovate and stay true to your homes time period. These Wilson Art retro laminates are so fantastic! Hello, I have Betty laminate in my kitchen and retro renovation gray boomerang in one of my bathrooms. We purchased from Lowe’s last year, when we renovated our mcm. We live in Temple Texas home of Wilson Art. I had to go with a Wilson Art laminate. I highly recommend them both. I have two small kiddos and I have had no problems with the kitchen or bath laminate. They look fantastic! If you are considering either I say go for it!! They are so fun and definitely retro! Fitting for an mcm! By the way Pam. Everyone that has seen your retro renovation laminate thinks it is original to the house. I’m loving it! 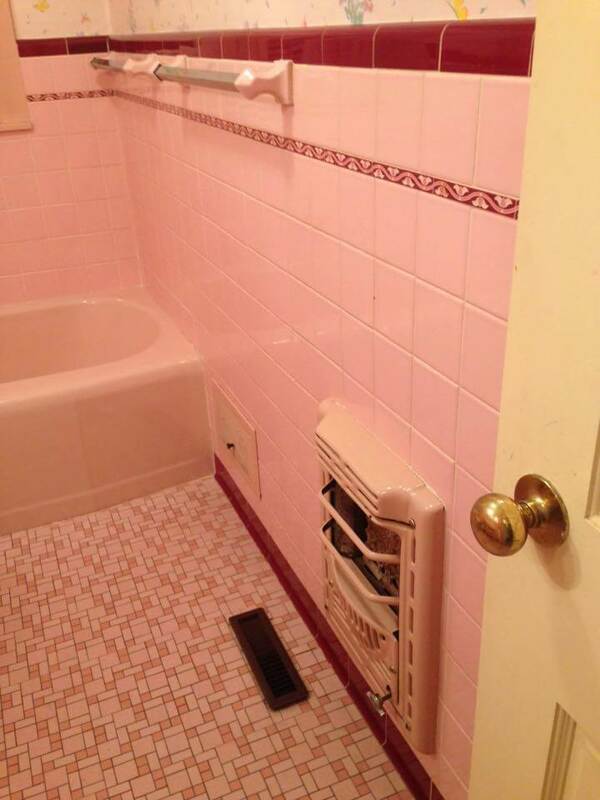 I have Betty in one of our bathrooms and LOVE it. 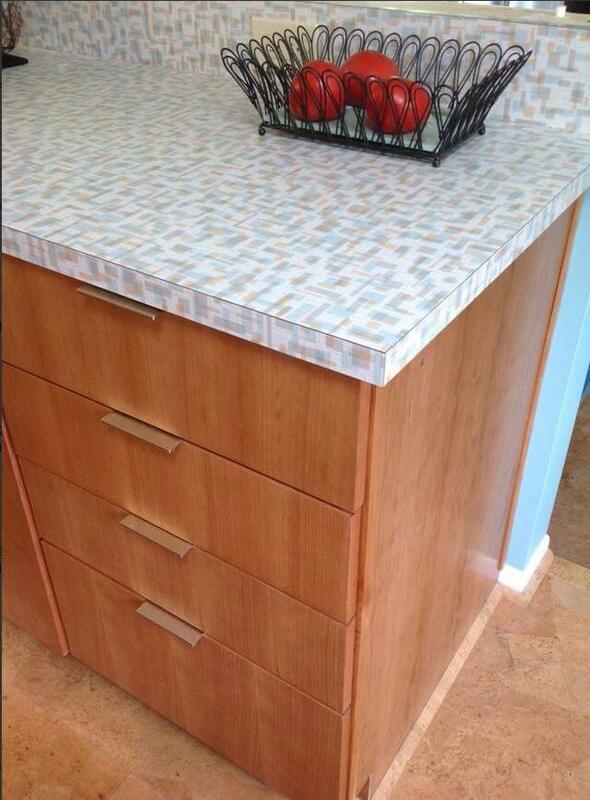 Even when you have to special order this laminate, it is so much more inexpensive than any other countertop surface.